If you find a spam bot that has not been taken care of, please post the link to the thread here and also if possible the name of the spam bot. Spam bots, by definition, create spam by creating articles to advertise. They are bothersome, true, but also a sign the forum has attracted enough attention to be targeted. Spam bots usually create a new thread, however, occasionally they will post in an already established thread or on someone's VMs. These are harder to catch as they are not as blatant as a shoe advertisement thread in a role playing board, and we'll certainly need help finding them! Spam bots that have been taken care of, I will edit the message underneath to show it was dealt with, to make things proceed more smoothly. Now, let us hunt and eat spam bots! It shall be a grand feast! ...Or not. Depends on how well we can hunt and how abundant the prey. 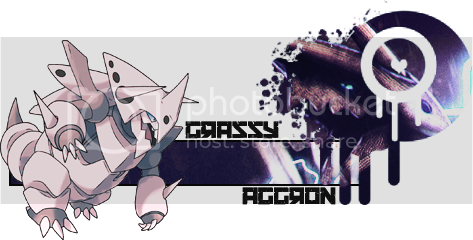 Last edited by Grassy_Aggron; 06-05-2013 at 02:24 AM. Last edited by Grassy_Aggron; 06-05-2013 at 02:25 AM. Banned the poster, blog needs to be deleted. GRASSY EDIT: Done. ...Not by me. CONSARNIT. Last edited by Grassy_Aggron; 06-22-2013 at 10:11 PM. Last edited by Grassy_Aggron; 06-25-2013 at 11:15 PM. Just a spam related question, isn't there some sort of forum program that can be fed spam and taught to block off spam? Something called an anti-spam service I think? Hm, that's something to look into for forum staff! GRASSY EDIT: Dealt with it. Last edited by Grassy_Aggron; 07-11-2013 at 01:22 AM.